Bambo’s tall pack of 60 maxi nappies offers a great eco friendly alternative to conventional nappies for babies and children between 15-40lbs even more so as the tall pack reduces the amount of waste from packaging. The extra soft material feels like soft clothing against your baby’s skin and since it’s dermatologically tested there is no chance of any irritation or rash. The thin flexible design ensures maximum comfort and they are super absorbent to avoid leaks. Bambo nappies boast the Nordic Swan Ecolabel and the FSC certification which tell you the production of these nappies had to be in line with strict conditions to limit environmental impact while the materials were sustainably sourced. 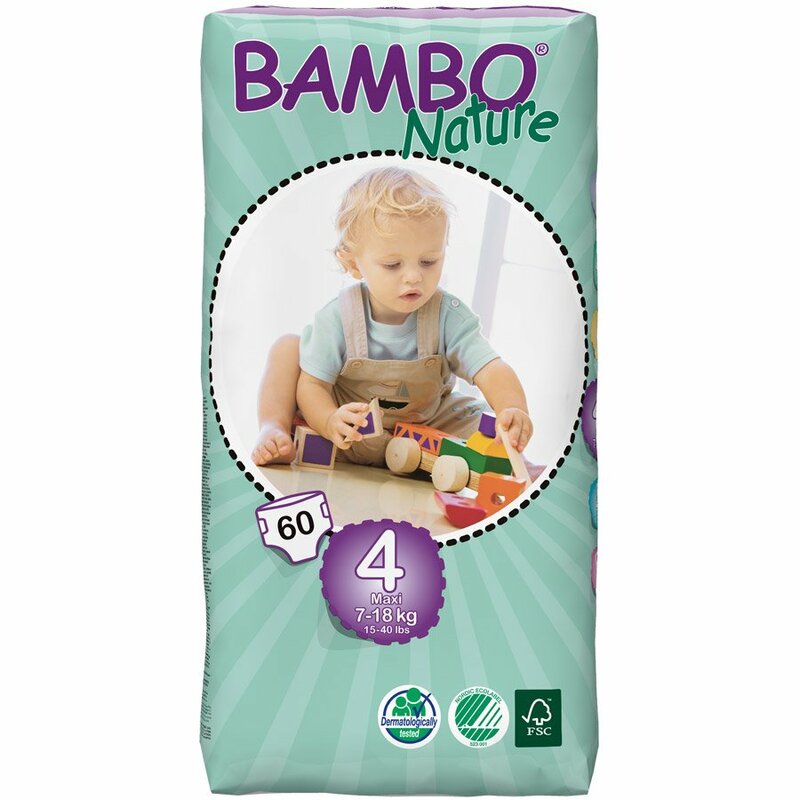 The Bambo Nature Disposable Nappies - Maxi - Size 4 - Jumbo Pack of 60 product ethics are indicated below. To learn more about these product ethics and to see related products, follow the links below. Having found sizes 1,2,& 3 of this brand ideal for her baby, my daughter was happy to discover that size 4 is equally good. More expensive than non eco brands but nappy stays dried longer and does not leak, even with slender baby. Best nappies on the market. I put them on my kids at night and they stay dry for 14 hours! 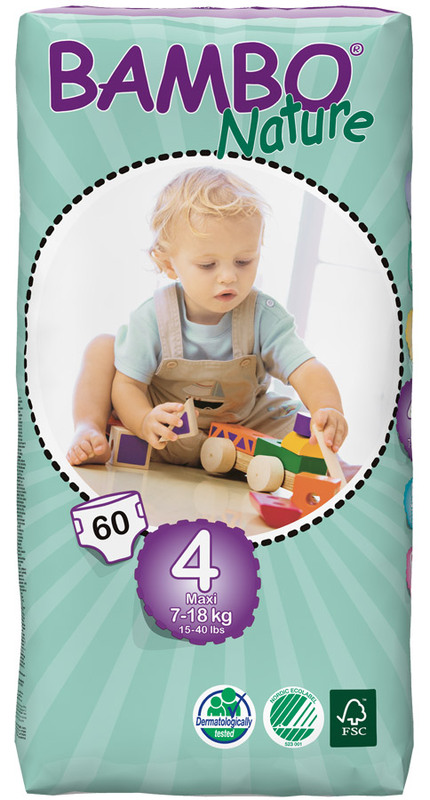 There are currently no questions to display about Bambo Nature Disposable Nappies - Maxi - Size 4 - Jumbo Pack of 60.